For over three decades neoliberalism has been the dominant economic ideology. While it may have emerged relatively unscathed from the global financial crisis of 2007-8, neoliberalism is now - more than ever - under scrutiny from critics who argue that it has failed to live up to its promises, creating instead an increasingly unequal and insecure world. This book offers a nuanced and probing analysis of the meaning and practical application of neoliberalism today, separating myth from reality. 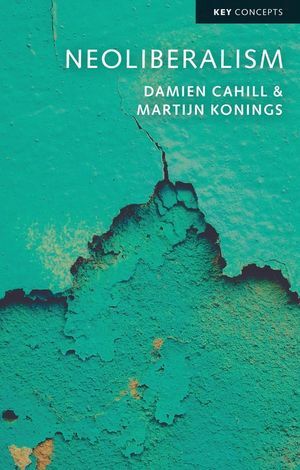 Drawing on examples such as the growth of finance, the role of corporate power and the rise of workfare, the book advances a balanced but distinctive perspective on neoliberalism as involving the interaction of ideas, material economic change and political transformations. It interrogates claims about the impending death of neoliberalism and considers the sources of its resilience in the current climate of political disenchantment and economic austerity. Clearly and accessibly written, this book will be a valuable resource for students and scholars across the social sciences. Damien Cahill and Martijn Konings are Associate Professors in the Department of Political Economy at the University of Sydney.